At Four Seasons Resort Bali at Jimbaran Bay, I’m dressed to go shopping to the nearby beach town’s touristic enclave, when I run into general manager Uday Rao in the al-fresco, sea-facing lobby. The wind wafts a swirl of frangipani around me as the faint beat of drums tremor from somewhere to my rear. Below us, the 156-villa resort, built on a former rice field to resemble a classic Balinese village, drapes the descent of the hill, its exotic rooftops like signage; its alleyways and portals as mysterious and inviting as a labyrinth. Rao says something to me, but I can’t quite understand. He speaks again. “Don’t go. Stay here,” he says, his face as sage as Buddha. When he walks past my friend, he grabs her phone from her hand and puts it in his pocket. “You won’t be needing that this afternoon,” he says. “Stay here, get to know the place – and yourself.” Dumbfounded, it takes a second for us to comprehend that he’s given us permission to leave convention behind, and do something novel – to be still, perhaps even to seek harmony. It’s a gift – and we’re grateful for it. 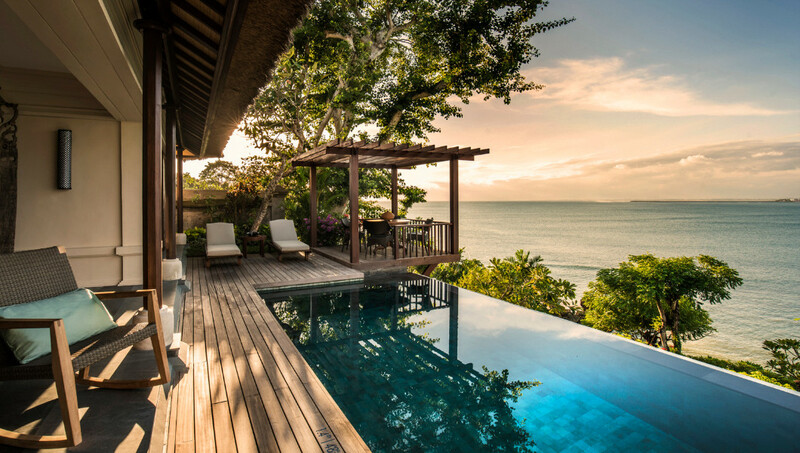 And so, not shopping, I return dreamily to my villa, with a posh plunge pool that hovers above the ocean, and spend a moment in solitude. It’s just my second visit to the island, but already I fathom that the lessons are subtler here; you have to stop to capture them as patiently as you might wait for a butterfly to land on your finger. But, once you open to the island, it draws you in, elevates you, and supports you on a quest you might not have realised you were undertaking. 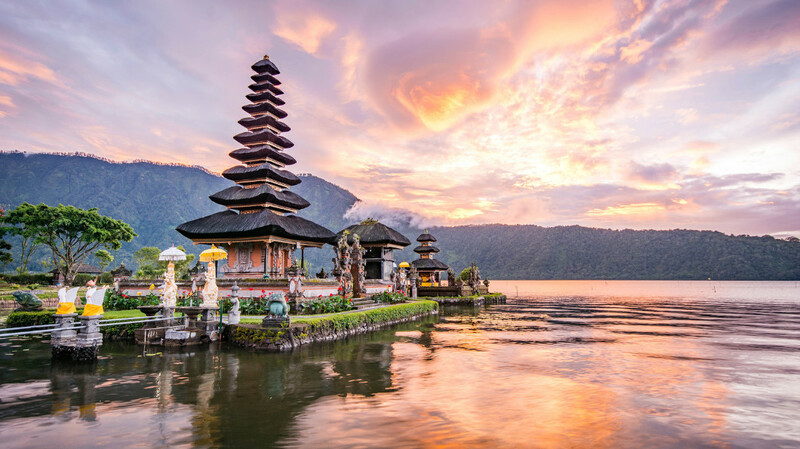 It’s been some decades now that Bali has been known as much as a wellness haven as a sun-lover’s paradise. Ubud, set amid the Valley of the Kings, harbours bands of yogis, healers and artisans, but the entire island operates in pursuit of harmony, whether that means how you balance on a surfboard just so in Seminyak on the southwest coast, stand in tree position at the Yoga Barn in Ubud or listen as I do now, to the rhythmic inhales and exhales of my own breath to the background of the sea. 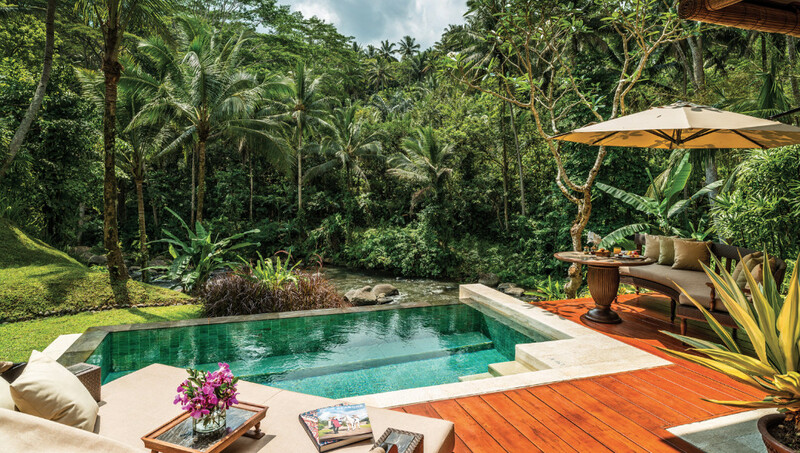 Spas, such as Healing Village Spa at Four Seasons Resort Jimbaran Bay, and Sacred River Spa, at Four Seasons Resort Sayan, located on the edges of Ubud, dip boldly into Bali’s enigmatic layers, exemplifying the curative culture. They incorporate simple beauty treatments, such as manicures, with vanguard modalities (scientific, results-driven facials, for example) and time-honoured therapies like chakra balancing. 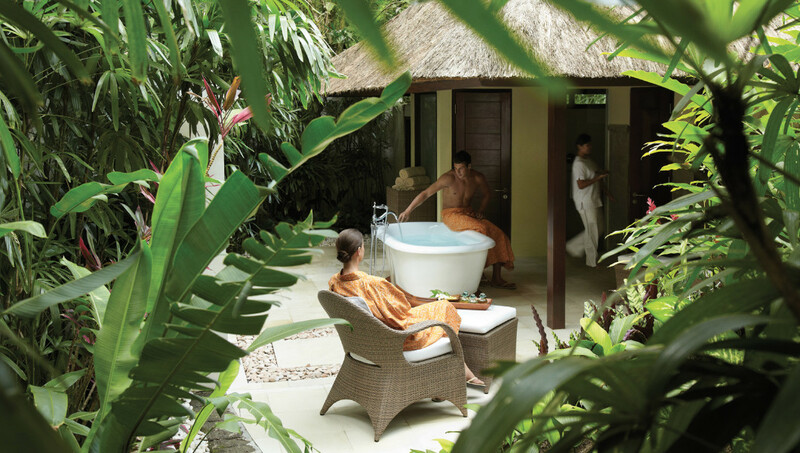 Perhaps most intriguing to me, however, are that these resort-sited spas embrace the presence and lessons from local healers known as Bailians – and priests. While I’m in Jimbaran, I sign up for a session with Ibu Jero, a fifth-generation high priestess who manages to bridge the mindset of the spiritually conscious east with the more linear, scientific west in her approach. As far as I’m concerned, she smites me at first glance, and I melt into her hugely open heart when we meet at Healing Village Spa for my energy-cleansing session. Ablaze with light, exotic and beautiful, she emanates a maternal port of safety and love. I can’t help but trust her completely, as she tells me about her father and his father before him (and so on) who nurtured those in need. To start our session, without knowing any of my personal travails, she hands me two hand-carved, wooden batons; ancient family tools, which have been passed down as legacy for centuries. “Someday I will give these to my son,” she tells me. Immediately, holding them in my bare hands, I feel the sticks buzz. “They will start to speak,” she says, as I lie down, and feel a kind of electricity course through my body. “You act as though everything is fine, but your heart aches,” she whispers to me. “Let me take away your pain.” And with that, we’re off. I awaken from a kind of trance, during which I’ve had vivid, surreal renderings of my life (and my past lives?) and see explosive colours, opening and closing like fast-motion films of flowers growing over time in a garden. Time has passed – but how much time, and in what space, I can’t say. I do know that tears stream from my eyes, and I see that Ibu Jero, too, cries softly. Then, she smiles. And, when she does, I feel a great weight and crippling angst lift from me and dissipate into the air. We hug. “You’re better now,” she says. And she’s right. On my final morning in Jimbaran, I take part in a three-hour ritual the spa offers called “Blessings of Bali”. It takes place on a cliff overlooking Jimbaran Bay. Conceived as a journey of self-renewal, it begins with a one-hour gentle yoga session to relax the body and open the mind. Afterward, a therapist immerses me in a Balinese gong “sound bath,” which sends profound vibrations through my body, and calls my spirit to attention. Next, on an outdoor massage table, I enjoy a Balinese massage, which includes a moment when I am covered with a blanket of lucky coins – a Balinese tradition that roots me to the culture – and to myself – in a profound way. Finally, dressed in a Balinese sarong and a sash with a flower behind my ear, I am reunited with Djik Ngurah, the resort priest, who guides me through an oceanfront blessing. Droplets from the waves moisten my face and birds sing as he chants, prays, and hands me various colours of flowers to hold between my folded hands, When he sprinkles me with sacred water, he grins widely – like Ibu Jero – and wishes me well. I can feel my heart opening. It’s as big as the sea.